The second T20 between India and South Africa was a one-sided affair. 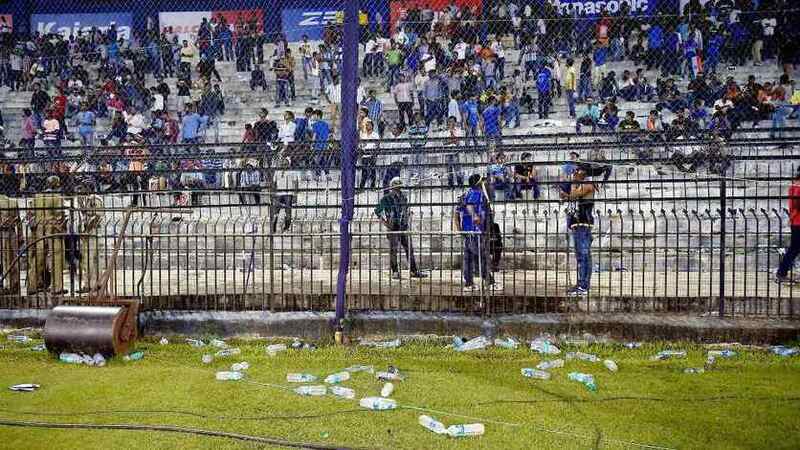 With South Africa well on its way to victory, the crowd at Barabati Stadium, Cuttack, decided to spice things up by hurling water bottles. 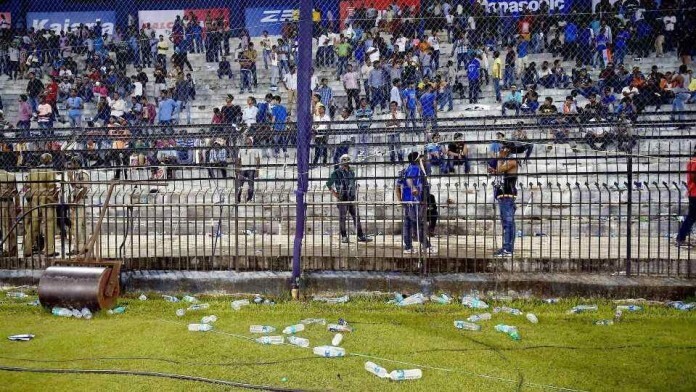 The umpire had to stop the match twice, and the incident overshadowed the proceedings of the match, and serious questions were raised on Cuttack’s ability to organize another match. It’s a match of cricket, not a gladiatorial fight between men and savages. And when the team plays well, do the crowd throw in money, sweets, and other valuables? No, right? So what’s with this frustration? However, it’s not the first time that an Indian cricket audience was unruly. There have been other such shocking instances when the crowd simply decided to take matters into their own hands. 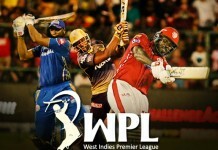 IPL 2013. Royal Challengers vs Mumbai Indians. Virat Kohli effects a run out and the new batsman Dinesh Karthik comes into bat. Pollard nudges to the covers and tries to take a single, but the bowler collides against Karthik, and Virat throws to the stumps. There is an appeal, and the Umpire declares Karthik out. The Mumbai crowd, always known to be a decent bunch (except when they’re beating up people from UP, Bihar, South India) pounced upon Kohli and the entire stadium began to scream ‘Cheater! Cheater! !’ in unison. Kohli being Kohli, was utterly pissed off and said the same in the match conference. Here’s a fan made video from the match. This was the Calcutta crowd in Eden Gardens. January 2, 1979. West Indies toured India, and Gavaskar was in fine nick. He was the captain, and also in the form of his life, scoring over 1000 Test runs in a span of about 78 days, a world record back then. Gavaskar was also in sight of another personal record – the first batsman to score a century in both innings of a Test thrice. He had scored a century in the first innings, and was in fine form in the second innings too. The crowd however, had other ideas. When he declared the innings after he reached 200, the crowd began to boo him. They shouted his name, and began pelting oranges at him! Ravi Shastri broke into the Indian national team as a youngster, leading his school, and then the Under-19 team, and finally into the Ranji, and Indian side. However, while he was a favourite with the females, having been linked to actress Amrita Singh and tennis star Gabriela Sabatini. However, while he was getting runs and wickets, he was also getting a lot of backlash. The media accused him of batting too slowly (in a side that included Sunil Gavaskar! ), and the crowds loved to boo Ravi Shastri. In fact, he was booed in many stadiums in India, including his home ground – Mumbai. ‘Ravi Shastri Hai Hai’ was a common chant in the early 90s, and Shastri has gone on record to say that it pushed him to perform better. ‘I thought as if they are saying Ravi Shastri Hi Hi . I just drilled that into my head’, is what he had to say. India vs England. Sachin Tendulkar is going through probably his worst patch as a batsman. His form has dipped, and injuries to his back and elbow have forced him to leave out his most explosive shots – the lofted drive and the pull to mid wicket. Sachin walks out to bat and struggles for 34 minutes, managing to carve out just a single run. In the end, he edges to the keeper and is dismissed. The Mumbai crowd begins booing Sachin Tendulkar. The incident was much publicized in the media, and fans both spoke for and against the man. It was probably proof that the Indian cricket fan is short-sighted, and short-tempered. Of course, Sachin Tendulkar bounced back into form, accumulating runs from 2007 onwards in a rejuvenated second-innings of sorts. He would go on to score runs in India, Australia and New Zealand, across both formats of the game. He would go on to score 200 in an innings, and then 100 centuries to sum up a golden career. However, his home crowd, that witnessed him grow from a boy to a man to a father, booing him, was a certain low in his career. It was the semi final of the Wills World Cup 1996. India had beaten Pakistan in the Quarterfinals in Bangalore and Sri Lanka seemed to be on a surprise rampage for a side that hadn’t won any major tournaments. Sri Lanka batted first, with Srinath beginning a dream match, ousting the first three batsmen for a paltry total score of 35. However, the middle order of de Silva, Ranatunga, Mahanama and Tillakaratne consolidated and brought the score up to a healthy 251 (remember, this was 1996). India’s reply, however, was tragic. Sachin scored a 65, but got stumped. From there on, it was typical 90s Indian cricket. Sachin got out with the score at 98, and within the next 22 runs, six wickets tumbled. India needed another 132 runs in 15.5 overs with 2 wickets remaining, when the Calcutta crowd decided they had had enough. They began pelting stones, lighting bonfires in the stands, and chanting slogans against the players. About half an hour was wasted, and in spite of repeated requests, match referee Clive Lloyd awarded the match to the Sri Lankans, who went on to win the World Cup. The match is still a deep scar on the Indian crowd, for it was injustice to the brave performance put up by Sri Lankans. So you see, we were never a very tolerant audience. If you perform, we put you up on our shoulders and dance in joy. But if you dare disappoint us, we’ll burn you down.